Bassnectar | DESIGN THE NYE POSTER! New Year’s Eve is coming, and we are taking over the musical metropolis of Nashville to usher in the new eon with unparalleled bass explorations. Oh yes. To celebrate this grand happening, we’re running another poster contest with our friends over at Creative Allies. 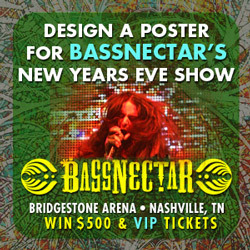 We want YOU to design an official poster for Bassnectar New Year’s Eve Nashville! The winner will receive $500 cash prize, as well as 2 VIP tickets to this sold-out show. We want to see some mind-bending designs! Think outside the box and deliver the unexpected. If you need some inspiration or guidance, try to incorporate the a “New Year” theme – beginnings and endings, the passing of time, personal change or looking back through time on a different self. 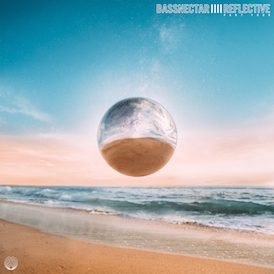 We know there are a lot of talented Bass Heads out there who would love to contribute and be an official part of Bassnectar history – GET INVOLVED! All entries must be submitted by Dec 1st. We will post a shortlist of entries on the Bassnectar Facebook page and let our Bass Head community vote on their favorite and help select our winner. 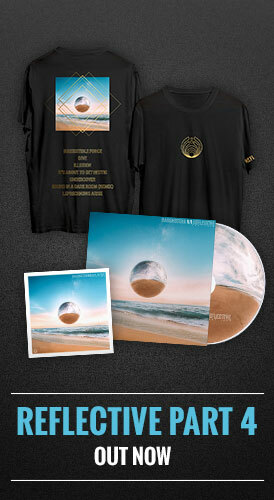 Check out the contest specs including requirements and support files HERE. If you need further inspiration, scope the poster contest submissions for our Bass Center 3 event this Fall HERE.